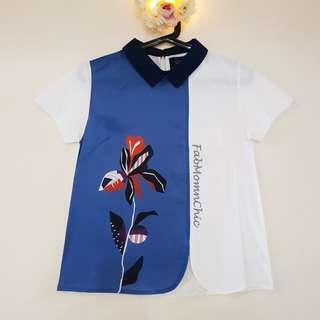 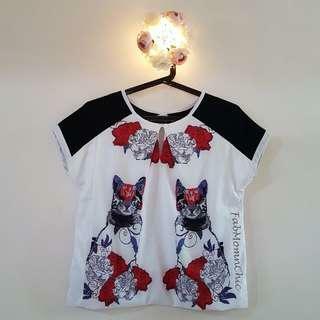 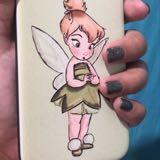 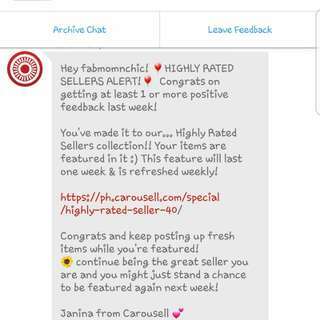 soy11preloved Super nice buyer, promt payment, God bless! 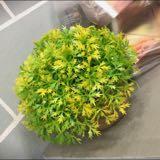 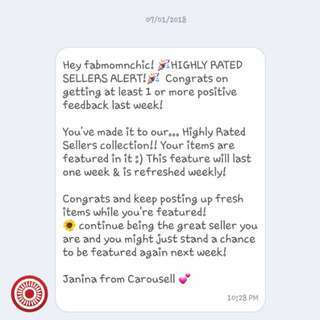 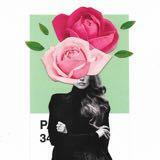 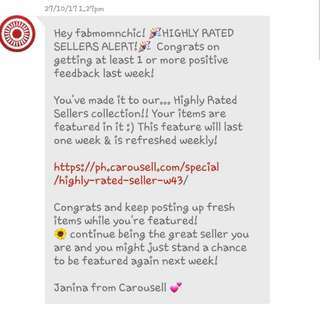 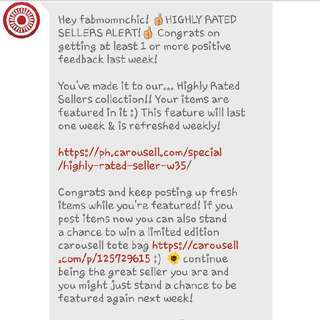 💕THANK YOU!💕 My 7th time to be included in the Highly Rated Sellers list (week 43). 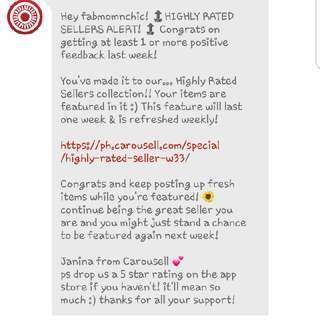 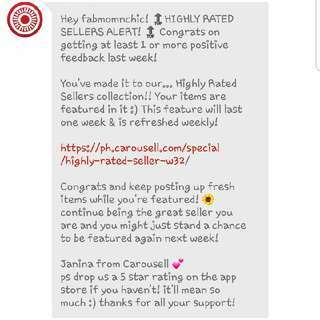 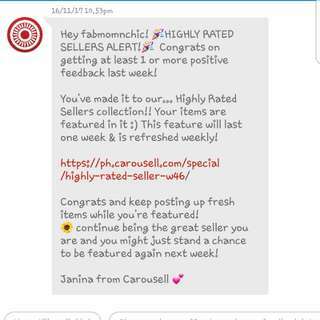 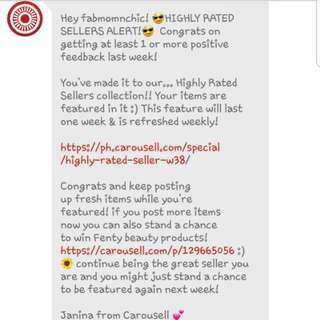 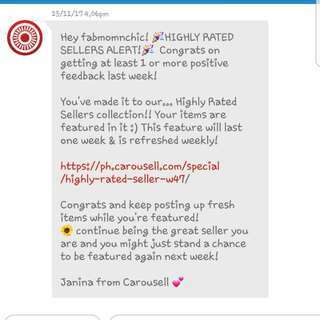 Thank you carousell and my dear buyers 😘.